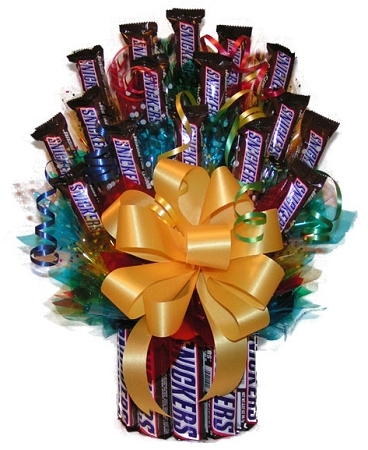 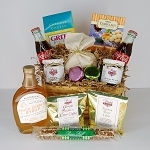 The perfect candy gift bouquet for the Snickers™ lover in your life! 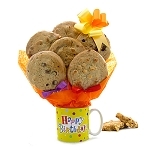 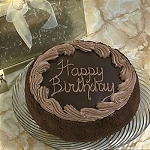 The Medium Snickers Bouquet is filled with 7 large Snickers and 12 fun size bars. 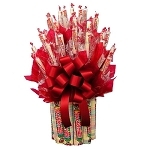 The Large Snickers Bouquet consist of: 11 large Snickers and 23 fun size bars. 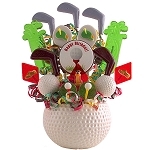 The All Snickers Bouquet is available for overnight shipment.